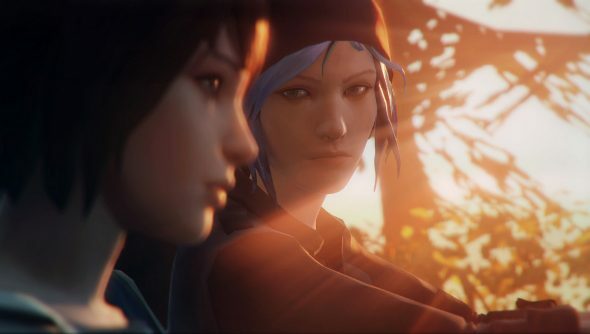 Dontnod, the studio behind lackluster action thriller Remember Me, and Square Enix are working on a new episodic adventure game, Life is Strange. The story driven mystery follows two teen girls, Max and Chloe, as they look into the unexplained disappearance of a classmate. Unlike other teen detectives, Max has more than her infuriating nosiness to aid her and her chum, because she can rewind time. Bloody teenagers, messing around with the laws of the universe. Dontnod says that rewinding time can alter the story, having knock-on effects that seep into future episodes. “Choice and consequence play a key role in how the narrative unfolds,” the dev explains. With adventure games getting a new lease on life, it’s interesting to watch as the genre diverges. Telltale’s episodic adventures have opened the door – one that was already ajar thanks to David Cage’s cinematic adventures and Team Bondi’s L.A. Noire – to games that eschew traditional puzzles for story and the exploration of people, rather than places. But as intriguing as this mystery sounds, I can’t help but look back at Remember Me. Another game with a potentially exciting central conceit, invading and altering memories, it fell well short of its ambitions, devolving into a rather humdrum action game with some very pretty locations. Let’s hope Max’s powers don’t suffer the same fate.